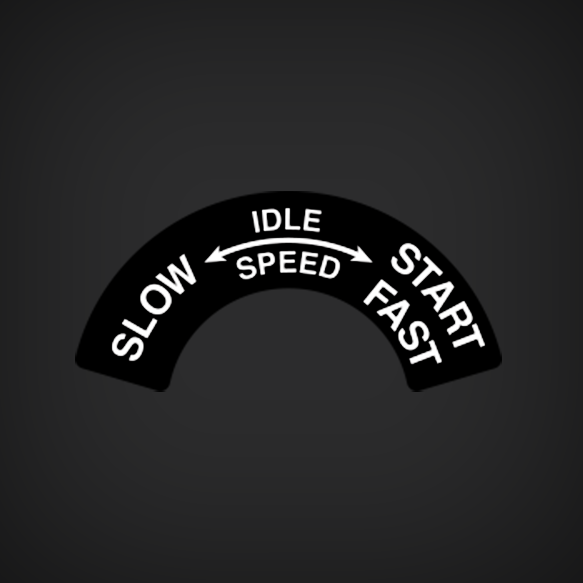 This is the Slow-Fast/Start idle speed decal found on 1980-2006 Mercury Mariner Outboards. As seen on 6hp, 8hp, 9.9hp, 10hp, 15hp, 25hp, 150hp, 175hp, 200hp, 235hp models. Replica Made from a MERCURY - ( 15 H.P. (1993).